Later this week I am headed to Atlanta, Georgia to participate in the 2016 Annual Program Meeting of the Council on Social Work Education. I have attended this meeting every year for the past 6 years and I still get excited to go, mainly to see old friends and meet new colleagues. 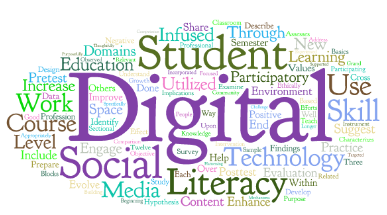 This year I am continuing my work by presenting the ideas of Student Engagement in Online Education and Digital Literacies. I have previously participated in a panel at other APM’s and I have written about Student Engagement on this blog here. I am also presenting on Digital Literacies, a project I created an entire course around when I worked at my previous institution and I am still analyzing data from. I presented a variant of what I am doing at APM this year at another conference and also wrote about that here. I will be tweeting lots from the conference so feel free to connect with me via Twitter, but I hope to see you there in Atlanta. Travel safe!